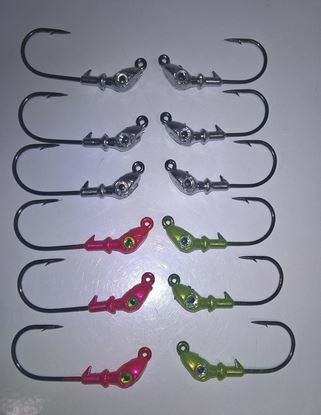 We have many circle hook jig head options available. 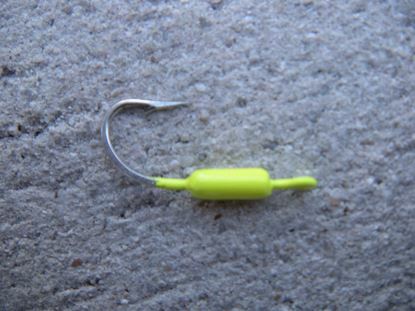 We make them from 1/32 - 2oz and in hook sizes from 5/0 to #4. We can make them in Black Nickel or Mustad Duratin. 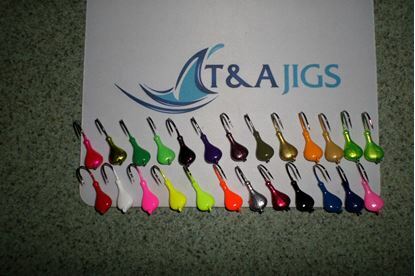 The Sparkie or Banana Head are our most popular jighead styles but we can do custom shapes as well. Made with strong, sharp Mustad black nickel hooks, sold in 3-packs. Available in assorted sizes, hook types, and colors. Please choose options below. Prices start at $2.50 per 3 pack.